Concord NH New Hampshire Attorney General Gordon J. MacDonald, New Hampshire State Police Colonel Christopher J. Wagner, and Lebanon Police Chief Richard R. Mello announce that an investigation is currently ongoing into a suspicious death of an adult female in Lebanon, New Hampshire. The individual died yesterday at Dartmouth-Hitchcock Medical Center where the individual was receiving medical attention. An autopsy will be performed this afternoon by the New Hampshire Chief Medical Examiner’s Office. 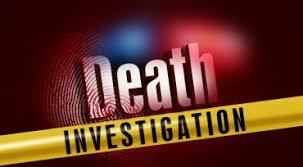 Information about the results and the deceased’s identity will be released as soon as possible. There is no evidence to suggest that there is a threat to the general public. Additional information will be released as it becomes available.